You must make reservations at least 5 minutes in advance of the time at T.J. Stone's. Alexandria's own T.J. Stone's celebrates modern American cuisine. Enjoy casual dining in the comforts of our cozy restaurant and bar with wine, beer and spirits from around the country & world. Don't forget about our specials! We got there about 6:20 on Saturday for 6:30 reservations and were seated immediately. Very friendly hostess; friendly atmosphere. Our server approached us quickly and brought water. I was feeling indecisive about what type of drink to get. He could have been a bit more helpful with suggestions, but he was absolutely pleasant nonetheless. We ordered a side dish as an appetizer--fried zucchini--which was fine but nothing great. (I think it was pre-made/frozen.) I ordered the salmon with asparagus and risotto; my husband got a burger. Our meals were delivered promptly and hot and they were delicious! We shared a chocolate lava cake which was fabulous. Service was consistent, friendly and sufficient even though the place filled up right after we arrived. Glad we found it on Trip Advisor; we will return! Good food and nice environment. We ate in the dining area but bar looked good also. Our service was mediocre as I had to flag down wait staff to get our drink orders and some of our food order was messed up and never input into the kitchen. Thankfully we were not in a hurry and the management comp’d us the late food. TJ Stone was a good experience. A good bar scene, kind of loud but not distracting, and the food was good. It isn't a `fine dining restaurant' but it's good quality and the staff makes up for it with good service. My wife & I will be trying TJ Stone again soon. Thanks much! Customer service takes on new meaning for restaurants during holidays and special events. St. Patrick's day was no different. Specialty menu for the day was good ... but not the usual "outstanding" I would give T.J. Stones. T J Stones is the most underrated restaurant in the area. It is reliably tasty and in our opinion has the best barbecue in Old Town. During the cold months it is especially cozy in the main dining room with the large fireplace and rustic decor. We love it! My friend had the salmon special and was happy with the portion size and taste. I had the fish and chips and substituted the spinach for the fries. The spinach was VERY garlicky - probably too garlicky for most. I enjoy garlic, so all was good. Manager came to check on us and other servers tried to help out ours as she was new. Can't ask for much more than that. Overall, I'm happy to give 5-stars. Great casual restaraunt with a nicely laid out dining room. The well-maitained fire in the fire place added to the ambiance and warmth on a chilly February evening. Service attentive, food was good, beer menu spectacular. My family loved the food and atmosphere. Our kids are picky eaters but they enjoyed everything. Would not recommend the Chesapeake Chicken, but everyone else’s dishes were great!! Good food as usual. Great service. Staff very friendly. Not up to its usual standards. Service was split between 2 servers which led to a few errors. Food was good but the ‘special’ was finished by 6.45. T.J. Stone is a great place especially on Mondays, 1/2 price burgers!!! Since last Monday was a holiday, I stopped by earlier than 5 pm. and find out that they did not have the burger menu yet and also it was full price. May be they can consider having burger menu and 1/2 price burgers all day??? Thanks! We went here for restaurant week, and we were blown away by how yummy the food was for the restaurant week deal. We will definitely be back! Delicious as always! One of my favorites in Alexandria. I was looking for something different and saw the online ad for T.J.Stone. My wife and I sat next to the fireplace. Waiter was very knowledgable and friendly. Loved our food and being able to watch a fun basketball game! Easy to get a reservation for a party of 8 on a Friday night. Waitress was very friendly. Service was good and prompt. Looking forward to returning. Really tasty food and attentive service. Butternut squash soup was really different and delicious. Great seasonal cocktails. Great value! I have family in town and wanted to take them away from home but to feel like we never left. T.J. Stones had the fire going in the dining room and a very quiet atmosphere. Such care was taken by their team to make sure we were well looked after complimented by amazing food. My parents are picky eaters so watching them thoroughly enjoy their food and laugh and have a great time was so great. 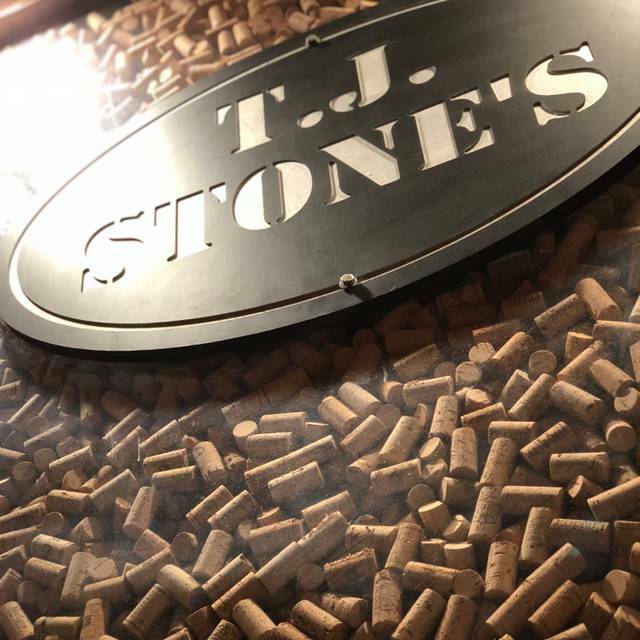 Loved everything about it and will definitely make T.J. Stones a regular stop. Excellent place for football. Numerous TV's in the tap room. Food was great! Fine dining room was lovely. Was exactly what I was looking for to watch the game! I was greatly disappointed in the food. The presentation and the taste was below par. I brought an out of town guest for dinner and was very embarrassed. I will not return to this establishment. Unfortunately, you did not send this to the intended person. This is not Molly Ludwig's email address. Nice quiet evening after watching the boat parade at the marina. Food was good and no complaints. We had brisket, burgers, and chicken. Only thing we didn’t care for was brie appetizer. It wasn’t melted or warm and presentation wasn’t appealing. Everything was great. Couldn’t have been happier with the experience. Atmosphere, service, and food was wonderful. The Thanksgiving meal was mediocre. The turkey meal was ok but nothing special and the prime rib was hard to cut and chew. It was quite busy but the service was good and they comped the prime rib meal. Always great food and service. Fireplace added warmth, and many large groups celebrating. We have been to TJ many times and we love to sit in a booth since it's quieter. The salmon was done to perfection as was the steak. The service was excellent. We'll be back. Comfortable relaxing evening. I nice local pub with good food nice atmosphere and good service. A pleasant change from the regular local spots. Great place to meet up with old friends and family. Meals were delicious and service spot on! Worth the drive from Lorton on a Friday in rush hour traffic. 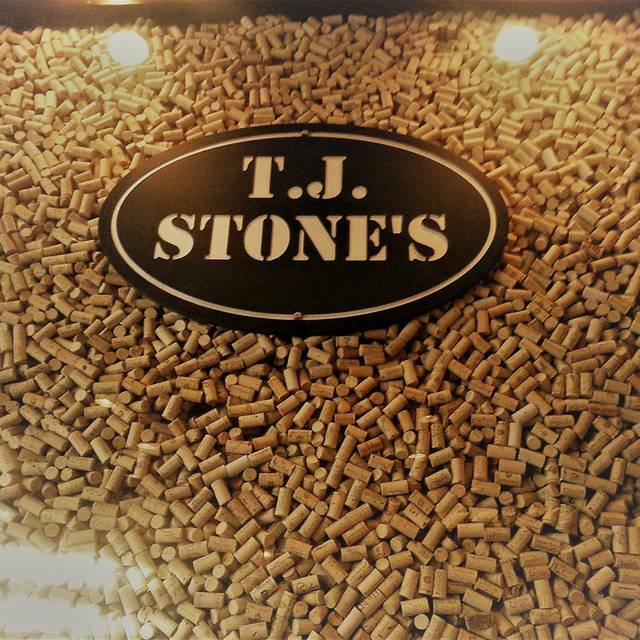 This was our first visit to TJ Stones. Overall, it was a disappointment. There are essentially two places side-by-side. One half is a pub/sports bar and the other half is a restaurant. I think we would go back there for drinks and to watch sports, but the restaurant side needs work. Our server was very nice and she tried, however she seemed pretty stressed and even spilled an entire glass of champagne on our table. We both ordered salads and they were just OK. My wife's steak was pretty tasteless and my Harvest Salad wasn't much better. It seems like the restaurant part is something of an afterthought. The service was great. The food was delicious, but the chicken was a little over cooked. The corn risotto, however, was amazing as were the sweet potato fries.